Some specifications and a mockup have surfaced giving us some insight into what we can expect from the BlackBerry Colt that may be the first device from RIM to run on the newly branded BBX platform. wasn’t a big reason why. 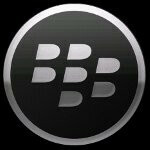 With the minor improvements that RIM brought to the table with OS 7 for their BlackBerry handsets, many are hoping the arrival of BBX on their smartphones will inject the once dominant manufacturer with some new life. If the rumored specifications of the BlackBerry Colt are to be believed, then what we have is here is a device with a 4-inch high-resolution display and a single-core 1.2GHz processor. The Colt is said to have a stainless steel bezel which is a style that other BlackBerry handsets such as the Bold 9900 have. Beneath the screen is rumored to be a gesture area instead of the physical buttons that previous devices have had. It may perform similarly to the gesture area of the fallen webOS devices like the HP Pre3. If it has the same “card” multi-tasking that was found on the PlayBook, then perhaps that won’t be the last comparison we make between BBX and webOS. It is believed that RIM is aiming for an early 2012 release for their first wave of BBX-powered devices. Take the mockup with a grain of salt because that could end up being nowhere near the actual design of the Colt. Hopefully we will learn more about the platform and what RIM has planned in the future. Tell us what you think in the comments below. it might work out. i"ve got to say though the Blackberry Bold 9900 is definitely one of the best feeling handsets i've ever felt. i put it up there with phones like the iPhone 4 and the Droid 3.
the build quality on the new BB phones like the 9980 (i think..lol)... whatever the bold touch is called.. is very nice. they just priced themselves right out of competition though with that 300 after rebate price tag. This is nice, but this is not what BB needs. They need to garner enthusiasm from the non business crowd.. and with that they need specs. BB, talk to samsung and get some SA+ screens.. anywhere between 4 and 4.5 inches is fine. Get a dual core at least 1.2ghz with lots of ram. Give customers AND developers a toy that everyone will want. yeah, i remember seeing the price tag on the Verizon version and thinking RIM must be out of their minds. xP well i thought about that but the more i think about it the more i don't think RIM should try to be a fourth wheel in the iOS, Android, WP category of OS that's more focused on apps and fun things. naturally get some Angry Birds and some Netflix and the other necessities on there but as far as the prime focus of the OS i think it should strive to be more buisnessy, productive and stable than everything else because that's what Blackberries are known for so up the game with some out of this world NFC features and give it 4G and Flash (it should have flash btw since the Playbook has it and the Flash experience on it is among the best i've ever had on a mobile device) and a more simplified, better looking UI then throw in all the business aspects of Blackberries and then we're talking. not to me but to people that want something a little more serious about the core OS like what webOS was. I totally agree with you there. If they wanna compete with the big boys they are going to have to step it up to a dual core for sure. The people want some more power under the hood that's for sure. I want a Blackberry phone so bad but I just don't like their hardware. I think they have a good OS but they put it on just terrible hardware. 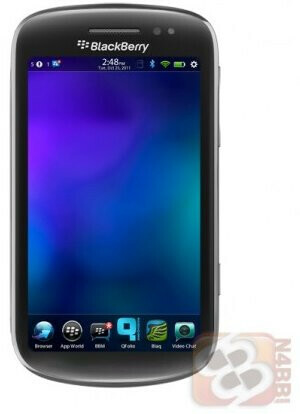 But if this is what the blackberry will look like I will buy for sure. Just hope it has a 4.3 in screen, though 4 is okay, and that it comes to Sprint! why not a dual core? I mean, we are talking about this releasing in 2012, when we will see quad codes, single cores would be the new low end phone. Im hoping that this is just a low end phone and the more powerful version are still under wraps, otherwise Blackberry is DOOMED.